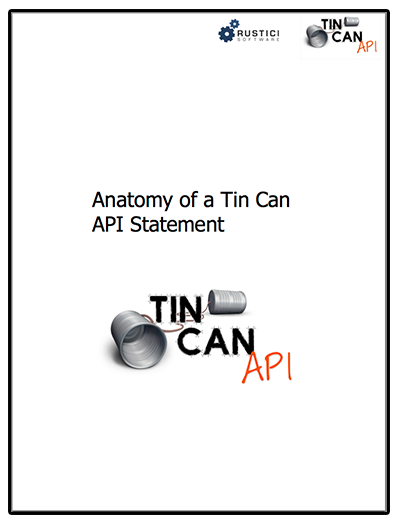 Our very own Brian Miller has written an extensive blog series about the anatomy of an Experience API statement, and we’ve collected them all into a downloadable (and free) ebook. This ebook isn’t for the casual xAPIner—it’s a deep dive into the technicalities and best practices of creating Experience API statements. We dare say that it’s the most exhaustive single resource for information about creating xAPI statements! Brian Miller is one of the world’s top xAPI developers, as well as a contributor to the specification. He’s involved in several working groups, and he’s the curator of the Rustici Software Registry. Get your free copy of the eBook. Questions about xAPI? Let's setup a time to talk one-on-one. While there are many resources available to help you navigate xAPI, we’re also happy to set up a time to talk about your specific application and use cases.